It has been months since I opened Reeder, my longtime app of choice for RSS. I don’t have anything personal against Reeder, it’s just that RSS has lost a lot of its appeal for me. Twitter is where I mainly get my news now. 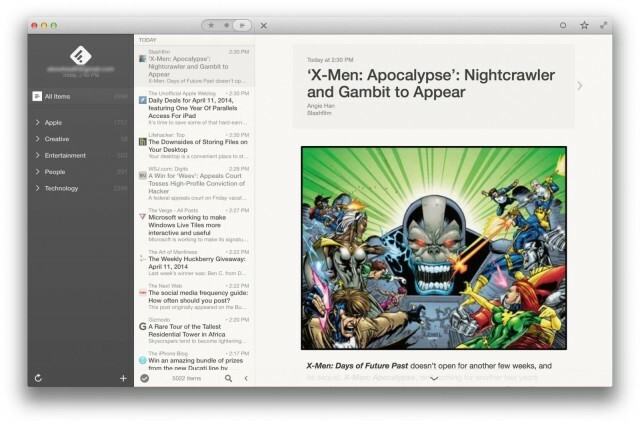 Reeder 2 for Mac, which launches as a public beta today, might just make me give RSS a second chance. RSS isn’t dead yet. Version 2.0 of Reeder, the highly anticipated sequel to the popular RSS app, has launched in the App Store as a universal download for the iPhone and iPad. 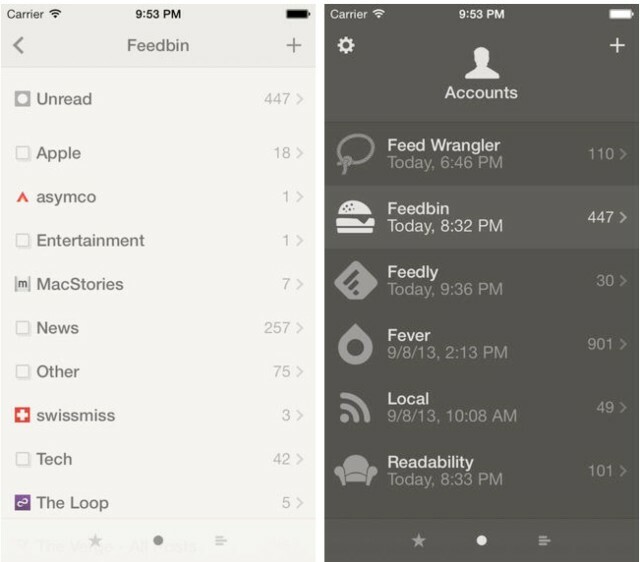 We’re living in a post-Google Reader world now, so Reeder 2 features support for some of the most popular paid and free syncing services: Feedbin, Feedly, Feed Wrangler, Fever, and Readability. Reeder for iPhone, one of the best Google Reader clients on iOS, just got a new update that introduces support for Feedly and Feed Wrangler. 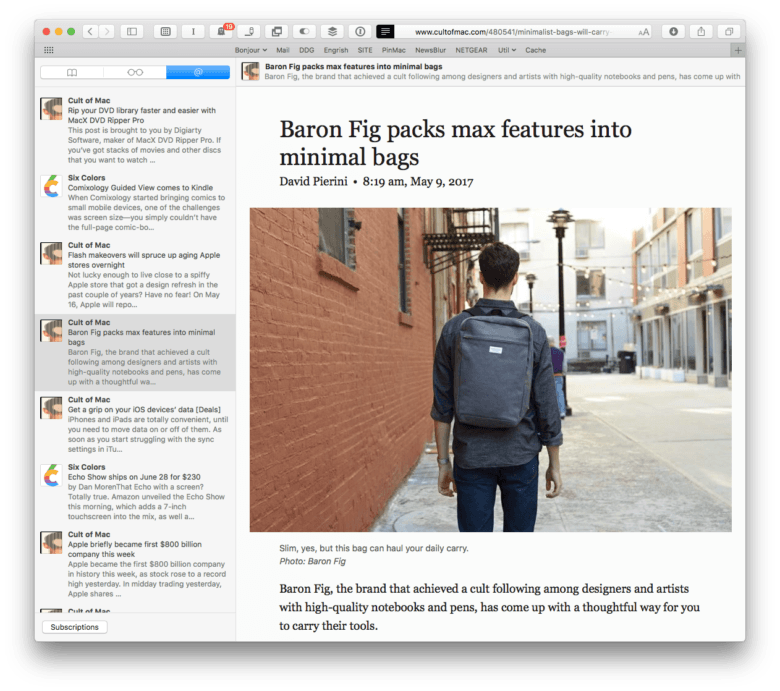 The release comes just a day after Google Reader reached its end, and you can expect the same for Reeder for iPad, and Reeder for Mac in the coming weeks. The developer behind Reeder, one of the best Google Reader clients for iOS, has confirmed that the app’s development will continue after Google Reader is closed on July 1. The app will soon receive an update which will bring support for a number of Google Reader alternatives, and if that wasn’t enough, it’ll be free on the iPhone starting today. When Google announced the shut down of Google Reader this past March, Feedly stepped up, promising to create its own Reader-like system for other third party RSS apps to connect to, and thereby lessen the impact of Google’s industry-standard takedown. 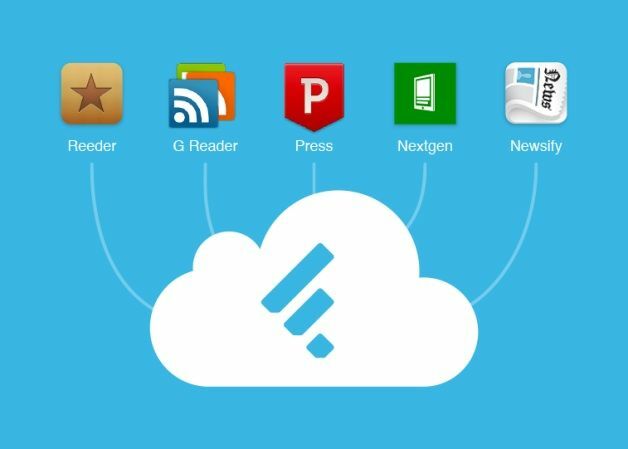 In a blog post today, Feedly announced the next step of its plan to rule the RSS landscape with the support of several third party RSS apps, including Reeder, Press, Nextgen Reader, Newsify and gReader. I use Reeder on a daily basis on both my Mac and my iPad (which continues to be free until Google Reader actually shuts down its service as of July 1). 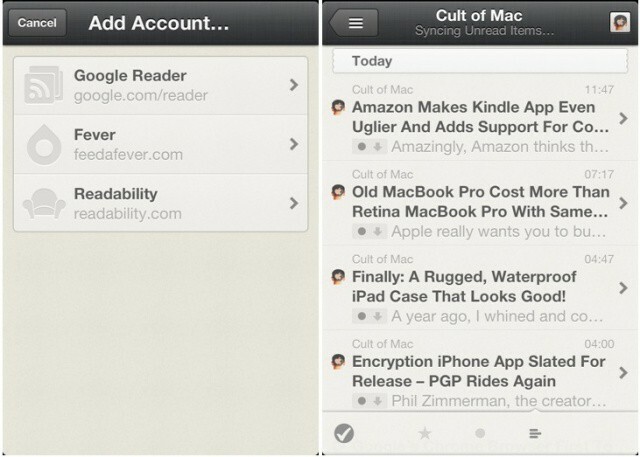 Popular RSS app Reeder received a pretty big update in the App Store today. The iPhone version of Reeder has been updated to version 3.1 with support for Feedbin, a paid Google Reader alternative. RSS feeds can now be manually entered and stored locally in the app as well. 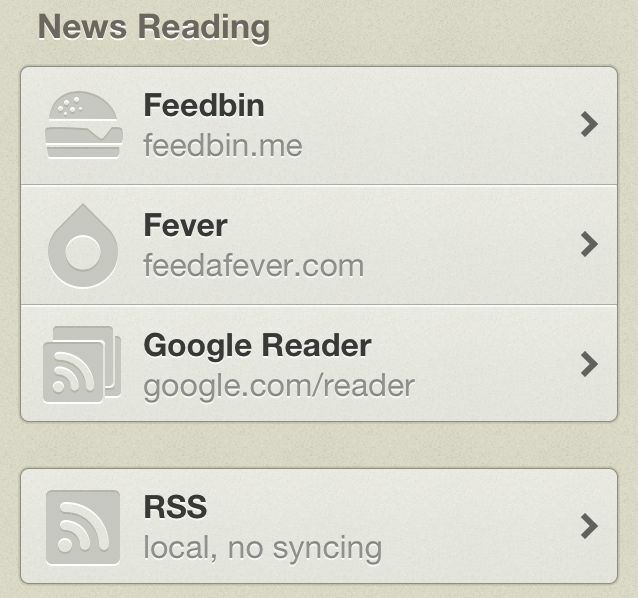 When Google declared that Google Reader is set to shut down on July 1st, Reeder announced that it would be adding Feedbin support in an upcoming update. The app already supports Fever, a Google Reader-like paid service that aggregates articles from multiple feeds and determines the most important stories of the day. Feedbin is still in its early stages, and because the company doesn’t have Google’s deep pockets, it costs $2 per month. Reeder for iPhone costs $3 in the App Store. 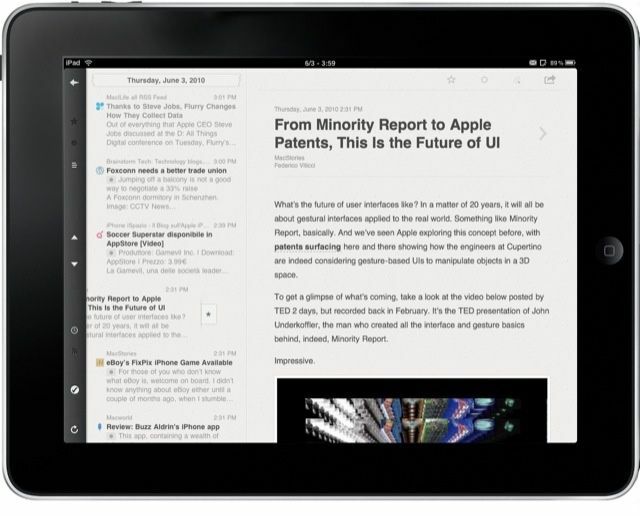 The Mac and iPad versions of Reeder will be receiving major overhauls in the coming months. With Google Reader set to close up shop on June 3oth there have been a number of apps competing to replace the dying RSS service. Digg and Reeder have emerged as popular replacements, but Feedly has seen tremendous growth thanks to Google Reader’s death. Since Google’s announcement that it’s killing Google Reader, Feedly has seen more than 3 million new users joined the service. To make things even better, Feedly just released a big app update for iOS that includes a new discovery engine, better sharing, and a must read section. 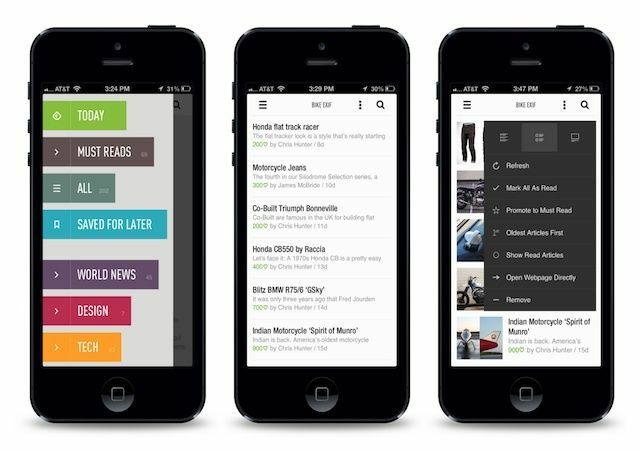 With the new update and the development of a Google Reader API clone called Normandy, Feedly is looking like it will be one of the best replacements for Google Reader. Reeder has long been our favorite newsreading app on the iPhone and iPad, but with Google Reader set to be discontinued on June 30th, the future of Reeder has been up in the air. Google Reader is the engine that drives Reeder, but with no clear alternative right now, it’s not exactly sure what Reeder’s new engine will be come July 1st. So Reeder’s doing the right thing and not making people pay quite as much for an app with a seemingly uncertain future. Developer Silvio Rizzi are making the app free on both iPad and Mac, and they are halting development on the app until July 1st to wait until the dust settles and a clear Google Reader replacement emerges. Unfortunately, Rizzi’s largesse only goes so far: the iPhone version still costs $2.99. I think it’s a price worth paying for the only iPhone feedreader in my view worth a damn, and with Reeder set to add Feedbin support sometime soon, my guess is that it will continue to be a strong app going forward.